After a delay in light of a Japanese earthquake, Nintendo's latest Direct video presentation finally went live on Thursday evening, and it included confirmations of long-rumored games and ports for the Nintendo Switch—along with a surprise NES controller pack launching next week. Coming September 18, the same day as the new paid Nintendo Switch Online service, the NES Controllers two-pack will be sold exclusively at Nintendo.com for $59.99—and you'll need to be a paying Switch Online subscriber to place an order. These controllers connect wirelessly to Switch consoles, and they also include latches to hook to the sides of a Switch console, but Nintendo advertises this solely as a controller-charging feature. 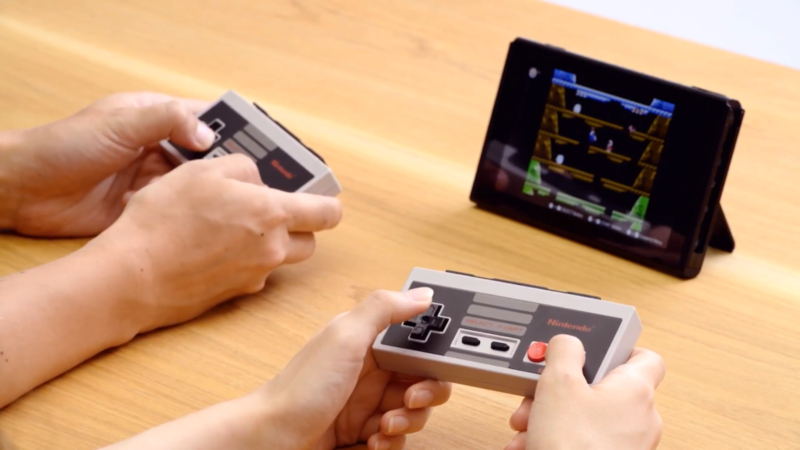 Meaning, you won't be able to use these NES controllers in traditional Switch games—particularly when you might prefer a traditional D-pad over the Joy-Cons' clicky buttons.